Airtel announced new internet offers to customers. 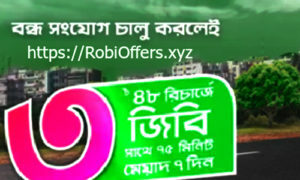 Under this offer, the subscribers will get 15 GB internet only at 197 Taka. These data will be valid for 15 days. Let’s find out more about the offer. Customers will get 15 GB internet at only 197 taka. The validity of the data will be 15 days. Dial *123*197# to avail the offer.